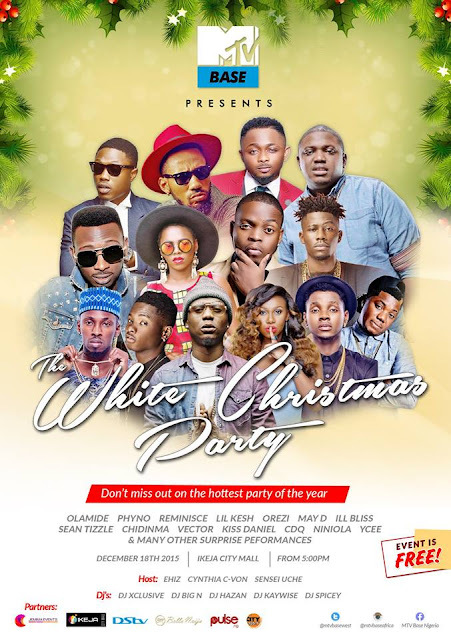 MTV BASE WHITE CHRISTMAS PARTY. EVENT IS FREE!!! We will be hosting fans to a FREE Christmas party tagged, “ MTV Base presents the White Christmas Party" in Lagos. Hosted by your fav DadaBoi, Ehiz !